Changes - I've changed jobs, which means I've changed some aspects of my life. The biggest change is that my new job is 3 hours away from home! 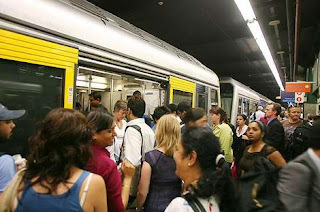 Now, that means I've joined the commuting population. It also means I've got a bit of reading done in my first week! The fact that my man has been away has also helped. Now, for my lovely friends, who I know are going to worry about me commuting for so many hours a day - my next change will include staying in the city a couple of nights a week - so more blogs to come about what that will mean. 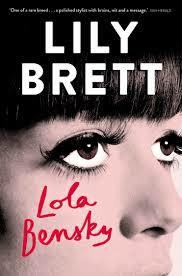 I've finished, albeit unsatisfied, Lily Brett's latest - Lola Bensky. I've loved all of Lily's other books, but this one just didn't do it for me.Lily is an Aussie living in NY, and most of her books describe aspects of her own life growing up as the daughter of Polish survivors of Auschwitz. I have always appreciated what she describes about her own experiences - but Lola (who is also a similar character for Brett's fans) is unable to capture me as others have. Disappointing. 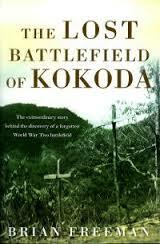 Unlike Lola Bensky, this book - the lost battlefield of Kokoda, did capture my undivided attention. My man has just returned from from 8 days trekking the historic Kokoda Trek, and while he was bravely undertaking the very physical challenge - I read about it. Kokoda was a very significant campaign in WWII for Australia - but not many people (least of all many Aussies) are actually aware of what it entailed. The Lost Battlefield, is actually a story of a battlefield in PNG, on the Kokoda Trek, that was forgotten, over grown by jungle, until only recently. I strongly recommend this book to anyone who is interested in war, Australian history or even just the mystery of things once lost but now found. 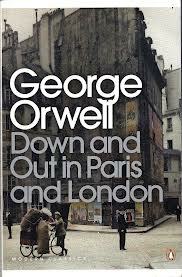 I'm now progressing with Down and Out in Paris at an alarming rate - and very much enjoying Orwell's interpretations, philosophising, and descriptions. When I do finish it, I'll share some of the interesting quotes I've marked. 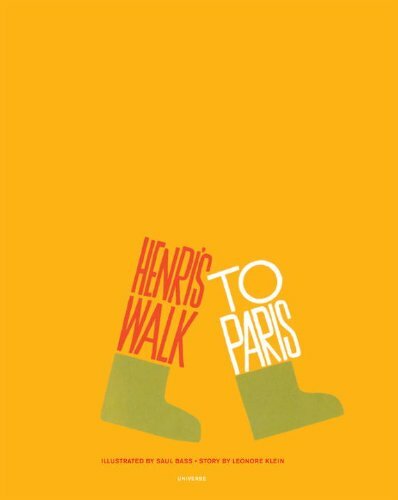 This week (because I've had time to do it) I ordered and received my copy of Henri's Walk to Paris. Its a picture book - which I will review in more detail soon. I love it. It was on my Paris in July wish list, and I'm so glad I got it. More soon! I always hope to finish Paris in July with a quality summary and a thank you to all participants. This year I have done some summary stats and lists under my 'Challenges' tab for Paris in July 2013. Please check it out to see just how busy we all were. A here's my big thank you to this years participants - Merci! Please join us again in 2014 - for what ever Paris in July looks like next year. Paris in July - Final Wrap up - Merci! It's with great sadness that I compile this wrap up post - I dont want it to end - but it's 'au revoir' to Paris in July 2013. Karen from Bookbath and I would like to extend a huge thank you to everyone who participated, visited and dreamt of Paris, even if only once during July! We've thoroughly enjoyed every post you've published, and there's been a few (I think that's a line from my favourite movie "Sabrina"). So again, I've attempted to theme the posts that were published since sun 28th July in the final days of the month. I'd like to invite you all to leave a comment following this post, mentioning your favourite Paris in July post. I might even be able to select one more gift recipient from your selection of best post.. Recollections of a Vagabonde provides a very real and personal history of living in St leu la Foret, a small village - her friendship with an orphan, Rachel, with a complex history and changes that have happened over time. Thanks for this post - it really touched me. I would like to say that because of your amazing diverse and numerous posts, I've not had the time to do the things I wanted to do for Paris in July. 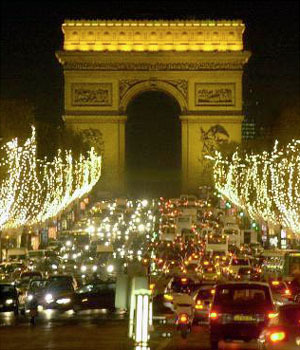 So as we pass down the Champs Elysee's onto a different street in a different place, I will embark on some of my own Parisian fantasies. Wait and see something about Cocktails in Paris, Female artists, and my book review of Henri walks to Paris. Thanks to All - and Au revoir et a la prochaine julliet!